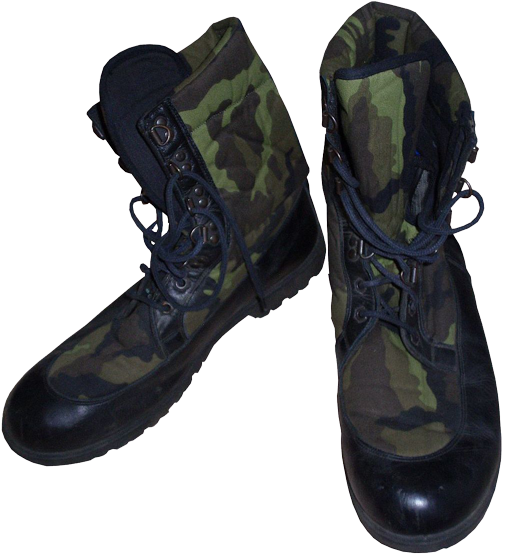 The Czech "jungle" boots with camouflage pattern top (boty vz95) are provided to the Armed Forces of the Czech Republic since the mid-1990s. 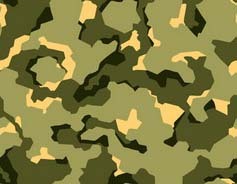 - Fabric material of the Czech camouflage pattern of the year 1995 (vz 95). The out-sole is made of black solid vulcanized rubber with tread pattern of standard classic "Vibram". The early models of these boots were made without reinforcing slant side strips of leather on the sides, and the lower part of the boots top are made of leather in a way that resemble conventional leather over-boots. Thus, the feet are less exposed to the overheating by the sun and the air exchange is easier, but this resulted in reducing of the construction robustness. 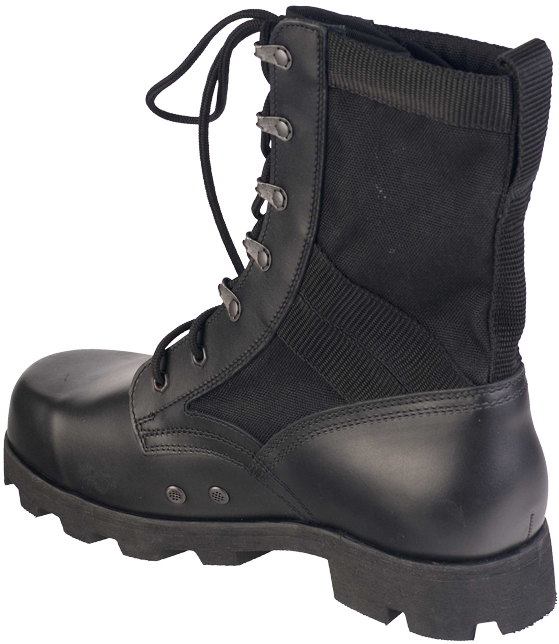 The Austrian military footwear designers solved this problem by adding an auxiliary leather jumper between the toe and the lacing system. The later versions of these boots already featured reinforcing slant side strips of leather on the sides. The rear sides of the boots from the top to move the boot's counter were made of leather as well. The lacing system consists of two pairs of simple round eyelets in the lower part of the lacing and five pairs of D-shaped lacing rings above. The laces themselves are of circular cross section. 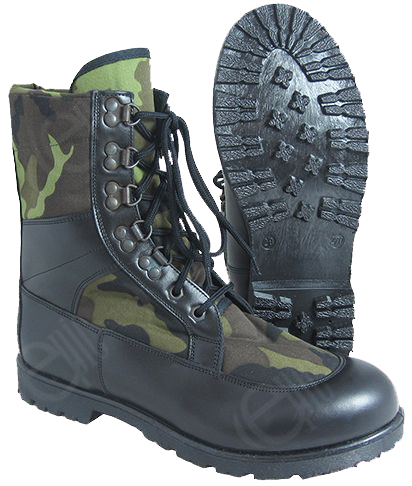 In the Czech Republic these boots can be purchased for 900 CZK, that is about 33 Euros (December 2013). 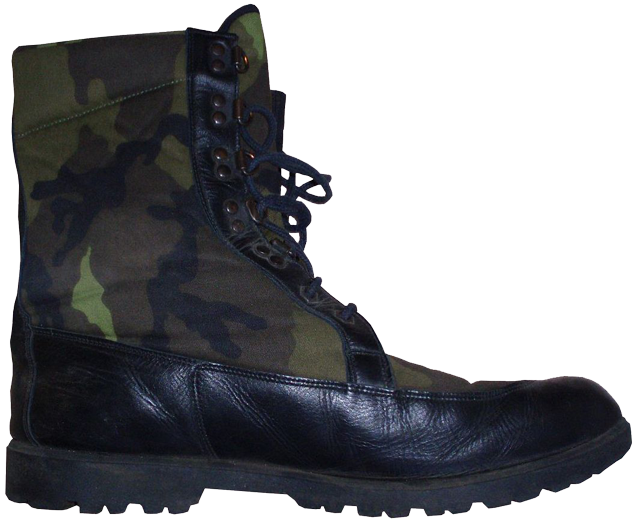 The Czech copies of black American "jungle" boots by "Prabos" company are very close to the original prototypes, and they range in size from 36 to 51. The top is made of smooth black cowhide with water-repellent and anti-microbial impregnation, and CORDURA® nylon. 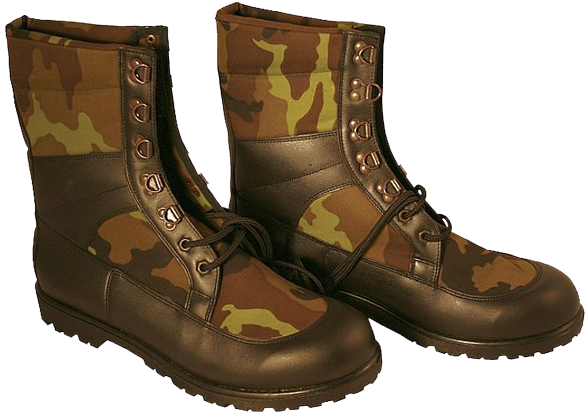 The insoles of these boots are made by DRYSOLE® technology, and are just the same as in the Czech "desert" boots. 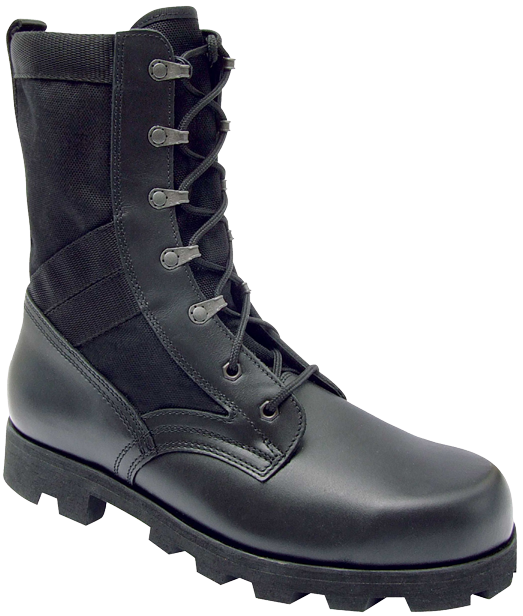 Just similarly to the American black "jungle" boots, which were introduced to replace the green "jungle's" in the middle of the 1990s, the Czech boots are equipped with twin eyelets for ventilation and water drainage on the lower inner sides. The non-slip out-sole with self-cleaning "JUNGLE"-type tread patterns are the full copy of the US "Panama" tread pattern. 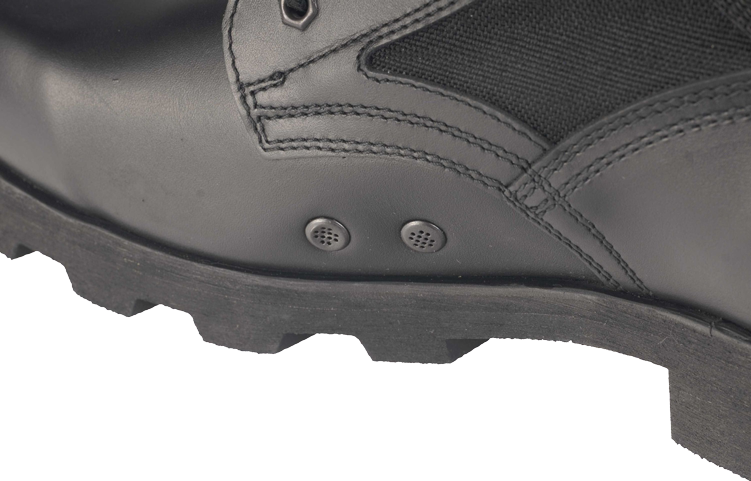 These boots provide protection against puncture ("Spike protection") thanks to the steel plates in the soles. The amortization of the counter and toe are also provided.